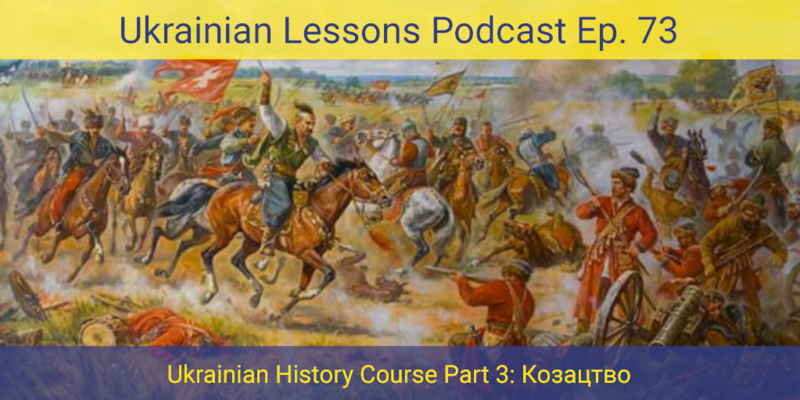 In this Ukrainian language and history lesson, discover українське козацтво – Ukrainian Cossacks. 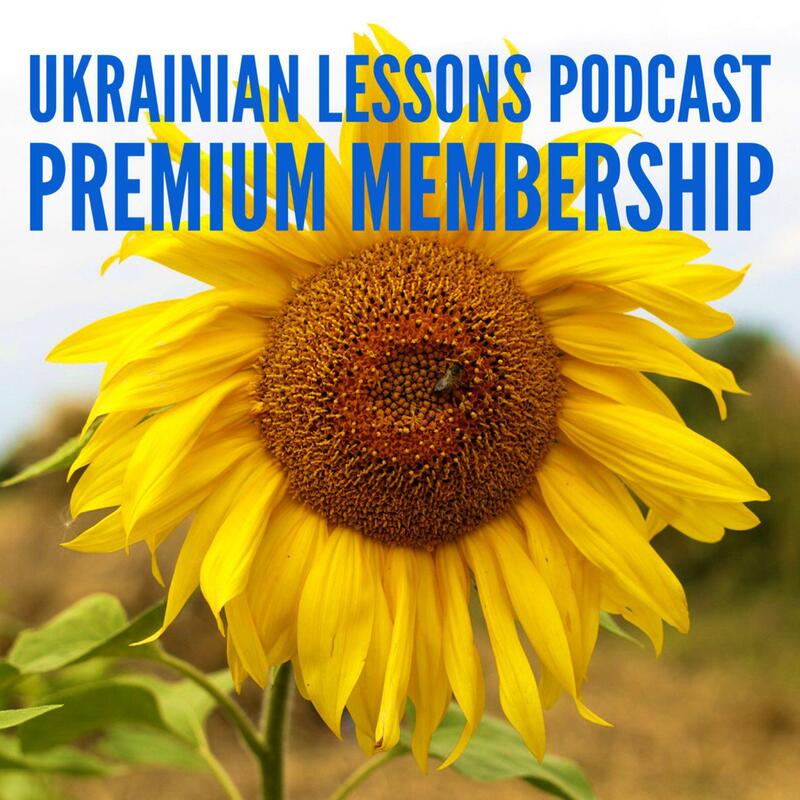 Learn new words and phrases, improve your listening skills, and discover Ukrainian culture with our Short Ukrainian History Course from Ukrainian Lessons Podcast! find out about the oldest universities in Ukraine! Please rate us and leave a review on iTunes, Stitcher, Podbean or right here on the blog. Your ratings and reviews really help and I read each one. Запорожжя (literally “beyond the rapids”) – a historical region in central Ukraine below the Dnieper River rapids, around modern Ukrainian city of Запоріжжя. Січ – an administrative and military center for козаки and especially for the Zaporozhian Cossacks. The word “sich” derives from the Ukrainian verb сікти, “to chop” – with the implication of clearing a forest for an encampment, or of building a fortification with the trees that have been chopped down. Військо Запорозьке – Zaporozhian Host (army). Стамбул – Istanbul, a major city in Turkey. Кафа – a city in Crimea in the 10th-15th centuries. Now it is called Феодосія. Османська імперія – The Ottoman Empire. Битва під Хотином 1621 року – the Battle of Khotyn – was a series of battles between a Polish-Lithuanian Commonwealth army and an invading Ottoman Imperial army. Гетьман – a highest military officer in Zaporozhian Host. Гетьманщина – Hetmanat – was a Cossack state in Central Ukraine between 1649 and 1764 founded by the Богдан Хмельницький. Богдан Хмельницький – a Hetman of the Zaporozhian Host who led an uprising against the Polish-Lithuanian Commonwealth and its magnates (1648–1654) that resulted in the creation of a state led by the Cossacks of Ukraine. Переяславська угода 1654 року – the Treaty of Pereyaslav – is an alliance the Hetman state under Bohdan Khmelnytsky concluded with Tsar Aleksei Mikhailovich during the Cossack-Polish War. Цар – Tsar – is a title used to designate East and South Slavic monarchs or supreme rulers of Eastern Europe. Правобережна Україна – a historical name for a part of Ukraine on the right (west) bank of the Dnipro River, corresponding to the modern-day oblasts of Vinnytsia, Zhytomyr, Kirovohrad, as well as the western parts of Kyiv and Cherkasy. Лівобережна Україна – a historic name of the part of Ukraine on the left (East) bank of the Dnipro River, comprising the modern-day oblasts of Chernihiv, Poltava, and Sumy as well as the eastern parts of Kyiv and Cherkasy. Доба Руїни – The Ruin – a historical term for the political situation in Ukrainian history during the second half of 17th century. Іван Мазепа – the Hetman of Zaporizhian Host in 1687–1708 famous for his participation in the Battle of Poltava against the Russian empire. Петро І – Peter the Great – ruled the Tsardom of Russia and later the Russian Empire from 1682 until 1725. Північна війна – The Great Northern War (1700–1721) – a conflict between the Swedish Empire and the coalition led by the Tsardom of Russia. Карл XII – Charles XII, the King of Sweden from 1697 to 1718. Полтавська битва 1709 року – one of the most important battles during Північна війна – the Great Northern War.